Tilly: “Today we went on a boat to the Vattenfall wind farm. 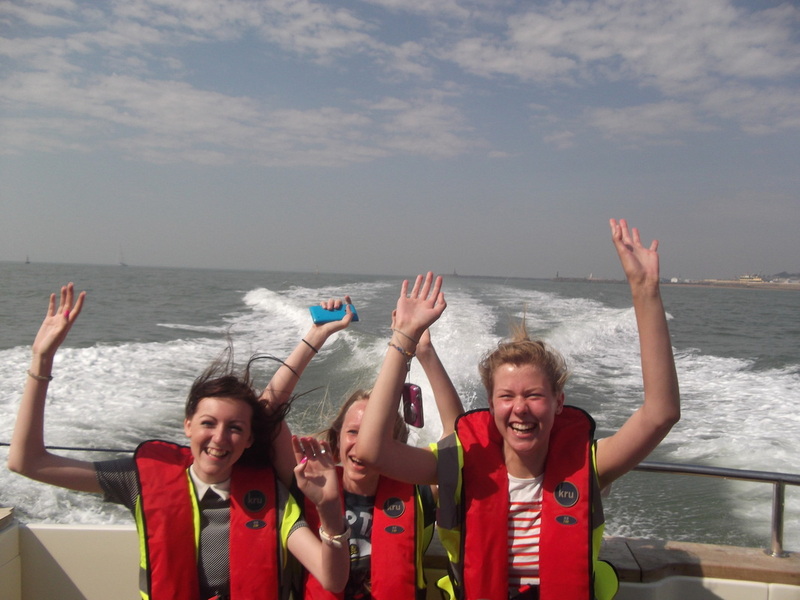 The boat trip was very exciting and as we went faster, the waves got more choppy and the water was saturating us. We went to the front of the boat and we saw the wind turbines gradually coming into view. Also we got to see what jobs different people do at Vattenfall and had a lovely lunch. Becky: “We took the school bus up to Vattenfall, where we then rode a boat to the wind farm. We talked to people that worked in the industry and they were very excited about telling us about their jobs."